The automated unit test capabilities provided by TBrun help developers avoid the delays and costs caused by the discovery of defects late in the software development or system integration testing cycle. 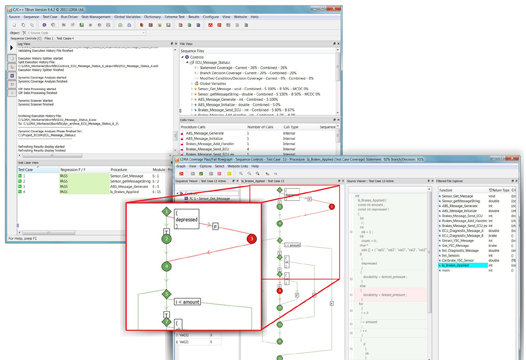 TBrun uses the comprehensive control and data flow analysis in the LDRA Testbed to extract details about the unit interface, parameters, globals (input and output), return values, variable types, and usage and procedure calls. Traditionally this level of information could only have been specified by a developer with an expert knowledge of the unit under test. By automating this process, TBrun frees up highly qualified staff who can be re-assigned to other modeling, design, and development tasks.